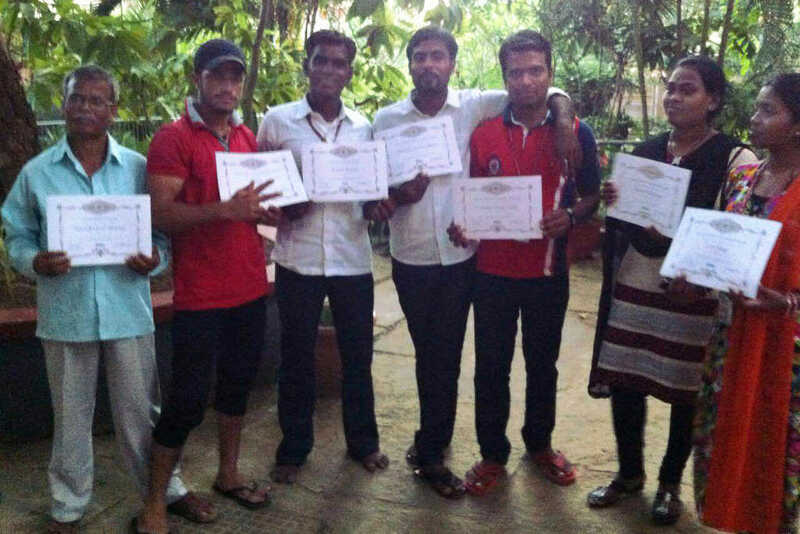 The first group of Amrita SeRVe Fellows has completed their one year of service in our villages across India. From health camps to tutouring to establishing self help groups, the accomplishments of this small but strong set of people is something to be greatly respected and for which to be grateful. On October 7th, Swami Amritaswarupananda Puri, Vice Chairman of the Mata Amritanandamayi Math, distributed to the fellows their certificates in a function in Amritapuri. The fellowship started when Amma requested that one child from every family should serve in rural areas across India. The result is that this provides immense help to our society as a whole. Here is the list of the first set of Amrita SeRVe Fellows. A new group is about to start. Swami Amritaswarupananda Puri hands Anju Singh, Madhya Pradesh Fellow, her certificate.